Be the first to share your favorite memory, photo or story of Keely. This memorial page is dedicated for family, friends and future generations to celebrate the life of their loved one. Keely was born on July 11th 1963 to David and Nancy(Kolden) Biegel in the Eau Claire area. The family eventually moved to Madison and then to Marshall, WI where she graduated from high school. On February 1,1985 her precious daughter, Jessica was born. To send flowers or a remembrance gift to the family of Keely R. Biegel, please visit our Tribute Store. 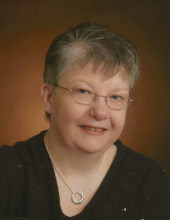 "Email Address" would like to share the life celebration of Keely R. Biegel. Click on the "link" to go to share a favorite memory or leave a condolence message for the family.